If you're looking for a 'thank you' gift for your volunteers and leaders that is a little more meaningful than an Easter egg or a box of chocolates, then this simple egg candle may be useful- it's very easy to make. Then package it up with some plastic film and add a 'thank you' label'. 1. Carefully cut the top off an egg and remove the egg. Rinse and dry. 3. Pop the egg shell candle in an egg cup. 6. Place the egg cup with candle on one of the styrofoam circles. 7. Form a cylinder by wrapping the plastic film around the styrofoam circle and eggcup and secure with clear tape. 8. Attach the other styrofoam circle at the top of the cylinder. 10. Cut out and wrap around the base of the cylinder with eggcup. 11. Add a ribbon bow to the top of the cylinder, if required. The Easter weekend is only days away and you still may be organising last minute details. If you're looking for printables and downloadable activities for your children's ministry Easter program, take a couple of minutes to look through these ideas. Simply click on the image of the printable activity to locate the website and further information. You'll find Easter treasure hunts, a jellybean devotion, Easter figures, colouring sheet and an Easter wreath. Thank your children's ministry volunteers, this Easter, with a simple iced cookie ('biscuit' in Australia) and thank you note. The cookies can be prepared beforehand and iced. You may even have a creative church family mum who loves to cook and would love to help you make these little edibles. The basic recipe is listed below, but you may have your own recipe that you prefer to use. After the cookies have been baked and cooled, cover with fondant icing and attach a bow to the stem. Print off the small 'thank you' notes onto light card. (see file below) Cut out and attach the cookie stem with a small piece of tape. Slip the completed cookie and note into a cellophane bag and hand out to your volunteers. 1. Cream butter and sugar until light and creamy. 3. Mix in dry ingredients gently, one cup at a time. Mix thoroughly until the consistency of the cookie dough is no longer sticky and can be handled. 5. Place the cookies on a tray lined with baking paper. 6. Bake in oven 180 degrees for 8-10 minutes or just until the edges begin to lightly brown. 7. Ice with fondant when cool. I usually find, whenever I create a list of suggested movie clips, that I've overlooked some great ones as soon as the blog is posted. So.... just realise that this list is not exhaustive but does contain some worthwhile suggestions to check out for use in your kids church and other programs over the Easter period. 1. 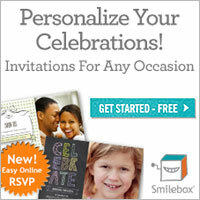 INVITATIONS This is a great little clip to encourage your church family to invite along friends and family to your Easter events. 2. A VERY SPECIAL EASTER This clip uses crayon drawings to illustrate responses and comments by kids about the Easter story. It does have a great finish. 4. A VERY SPECIAL SUNDAY One from the series that tells the Easter story with line drawings through the eyes of children. 6. AN EASTER STORY This presentation uses children as Bible characters to retell the Easter story. 7.WHAT IT'S ALL ABOUT This short little clip would be a great introduction or conclusion to your Easter event and just highlights the real message of Easter. 8. THE JESUS EGG I've included this story clip about an Easter egg hunt. It has a great message that you might like to use as a discussion launcher or to develop further following Easter. 9. REMEMBER ME Friends and Heroes have a quality musical presentation of the Easter story. 10. I BELIEVE If you're looking for some downloadable music for your kids to sing along with, check out Groups selection. Our kids really enjoy them and love to see other kids singing, too. This is just one of the list available to download. You may wish to take the opportunity, as a church or a children's ministry, to invite members from these groups to a special 'thank you' family service or event. A simple postcard-style invitation has been included in the file below plus a couple of decorative pieces- bunting, small labels for attaching to packs of chips or drinks, cupcake toppers. When we contacted these organisations, some offered to bring along their emergency vehicles, much to the delight of the kids! We also painted up some cardboard boxes as firetrucks and emergency vehicles and held races for the kids. You may wish to present a special certificate to all the emergency service personnel present. A simple certificate is available below. Another gift suggestion is to present each organisation with copies of the popular movies Fireproof and/or Courageous. Motivation is when your vision puts on work clothes. I really wish I had an amazing formula to generate continuous energy and enthusiasm for the challenging work of children's ministry. Let's face it- the work is constant, demanding and endless. Special events and programs are rewarding but exhausting, and preparations for regular mid-week and Sunday programs still continue. So..what happens when your motivation wanes and enthusiasm dips? Make sure that you are maintaining your time with God and His Word and your prayertime. Ensure you are allowing yourself some downtime, some time for yourself. Don't fill every waking moment with activity. As a leader, you must ensure that you are spiritually, emotionally, mentally and physically replenished. You need to fill your own tank before you can effectively give to others! KidsKount produce some bite-sized (2 minute) video segments to help you do just that... Lead yourself! It's worth checking out.. But it's also helpful to keep in mind that energy and enthusiasm is not required before you start working. In fact, hard work comes before the feeling of enthusiasm. Motivation is largely a myth.. it's activity that inspires us. Don't waste time waiting for enthusiasm to return; work harder even it you don't feel like it. You'll find your motivation returns as you accomplish those tasks you've set yourself. Stay faithful to the work God has given to you to do. And, praise Him as soon as your motivation catches up. I don't sing because I'm happy. I'm happy because I sing. We overestimate what we can do in the next year... and underestimate what we can do in the next 15 minutes. 1. Exercise. 15 minutes a day exercise will help you have more energy and be more productive. 2. Many find it helpful, sometimes, to work away from the usual working environment. Go to the library.. spend the morning at a coffee shop. 3. Play some background music.